Made with the highest quality ingredients, Diamond Naturals provides complete, holistic nutrition for every pet. Each Diamond Naturals dry formula is enhanced with superfoods and guaranteed probiotics, for optimal nutrition and digestive support. 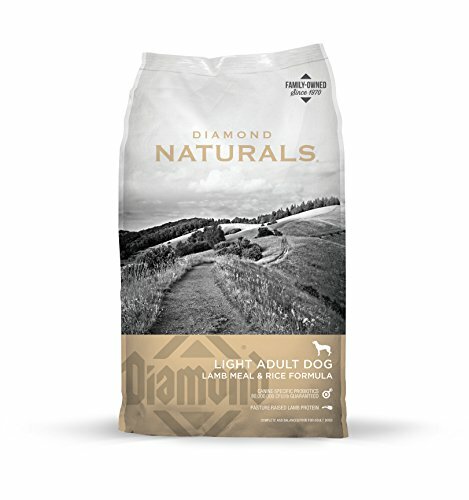 Diamond Naturals Light Adult Dog Lamb Meal & Rice Formula is ideal for your overweight or less active adult dog. With 15% fewer calories than the Diamond Naturals Adult Dog Lamb Meal & Rice Formula and added glucosamine, chondroitin and L-Carnitine, this recipe is the perfect choice to help your dog reach and maintain a healthy body weight while also receiving adequate nutrition.